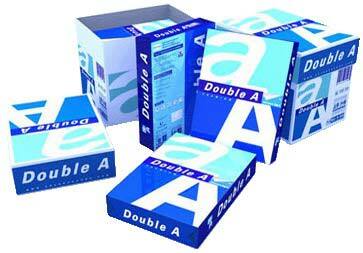 Our proficiency in allied domain enables us to offer a wide range of Double A4 Copy Paper (80 GSM). This paper is processed by utilizing top grade wood pulp and pioneering techniques by deft team of experts. The provided paper is widely used for making photo copies and printing at various shops. Further, the provided Double A4 Copy Paper (80 GSM)is made available with us in various sizes at feasible prices.